Buddhists celebrate birth of Gautama. 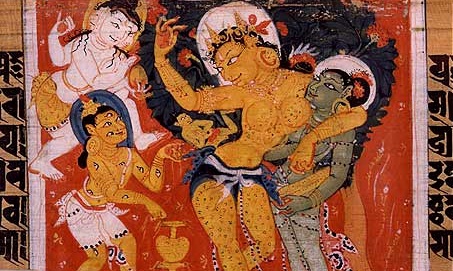 Queen Māyā miraculously giving birth to Siddhārtha. Sanskrit palm leaf manuscript. Nālandā, Bihar, India. Pāla period. Source: Wikipedia. You are currently reading On This Day: April 8 at IvyU.